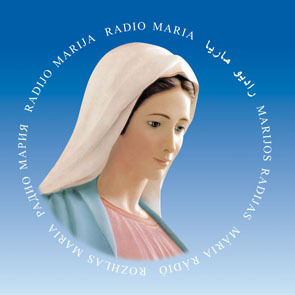 For more information about Radio Maria (USA) click on the image of Our Lady. This Radio Maria program that airs on the 2nd and 4th Thursday of each month has a new host/presenter. Mary Bond from Thibodaux has handed over the program she has hosted for many years to Penny Antill from Houma (left). On this particular program Penny is interviewing Jeanine Avila (also from Houma). The Good News Hour speaks to testimonies and to topics of eternal concern. For more information about Radio Maria click on the image. Penny also is active in the Charismatic Renewal of Houma-Thibodaux. For more information on that, click here. Note: Mary Bond continues to have her Prayer Time program: Call in Request Prayer program on Mondays at 4:00 pm (CST).